An Alternative To New Years Resolutions That Actually Works! If you struggle with New Years Resolutions, you aren’t alone. It’s estimated by University of Scranton Psychology Professor John C. Norcross that less than 10% are actually achieved. So why do most of us struggle to change our habits and make our goals a reality? All change starts with small habits, but most people hit January wanting to make a massive change. Instead of focusing on making small changes consistently, they try to overhaul their lives. Ever notice that you feel more motivated in the morning but by the evening it seems to have gone? This is because willpower is like a muscle. It gets tired the more you use it throughout the day. So if you are trying to make massive changes using your willpower, you are setting yourself up for failure. Power Words are a word or phrase you pick as a theme to guide the decisions you make as you move towards continuous improvement. You’ll choose a Power Word that represents what you want more of in your life. It will serve as a gentle daily reminder to take small actions. By making small consistent steps, you’ll find they add up quickly you will indeed have more of what you want in your life. 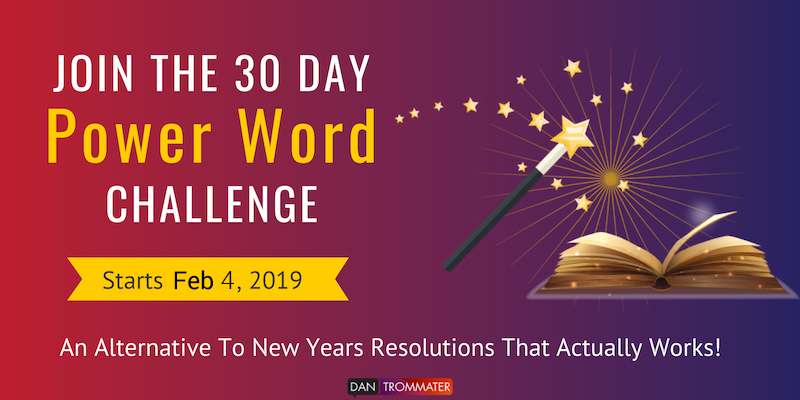 Power Words help you focus on what you want from life and help you navigate the small choices every day that accumulate into substantial change. A Power Word has power by the simple fact that you infuse it with power. Each time you use one, it becomes more powerful. This isn’t “magic” – it’s neuroplasticity. Every time you practice your Power Word, it makes your neural pathway stronger. This is how habits are created. 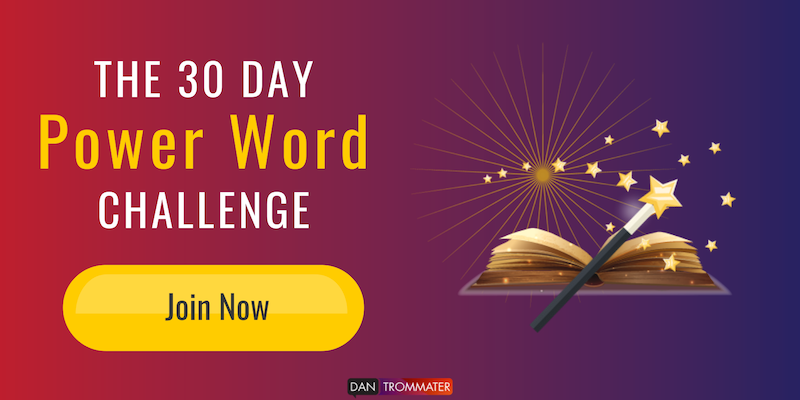 Pick a Power Word that you want to focus on for 30 days. Focus on a small habit each day related to your Power Word. Experiment with making changes in a safe and supportive environment. The updated Little Book Of Power Words that includes over 400 Power Words and instructions on how to choose your own Power Word. Daily motivations over email or Social Media (you choose). Let’s do this together! Sign Up Now! Willing to give it a good try. Great to have you on board Pat! You’ll get more info very soon! I’m it this with you 2018 here we come. MY WORDS” STAY CALM”. I’m sure I’ll be adding to my list. So sorry I missed this comment! “Questionability” could work, but is that something that you want more of in your life? The idea of Power Words is that you’ll do something every day to increase your word’s qualities in your life. If you think you need to question more, then it’s a good choice. This is the year that I gain more time to focus on the things that are important to me through working towards greater organization & order in my life.